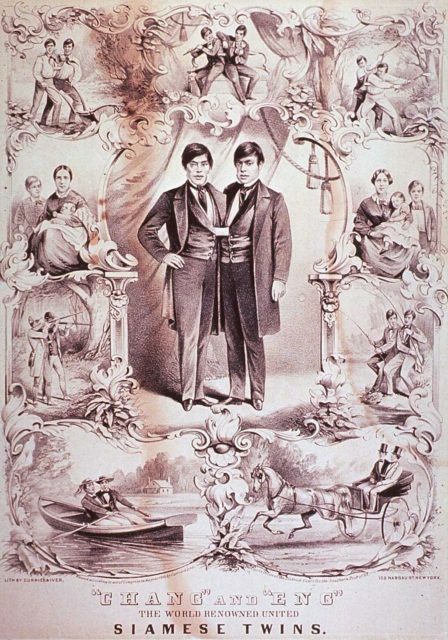 On August 1869, Mark Twain wrote a short satirical essay titled “The Personal Habits of the Siamese Twins.” In it, the writer masterfully uses the life of two inseparable conjoined twin brothers named Eng and Chang as a metaphor to distress freely and precisely the problems that his nation was facing in the aftermath of the civil war. Intrigued by their strange nature and having already met them, he wrote about their personal life and some of the difficulties they were facing to overcome living in a state such as theirs. By doing this, Twain comically is depicting the idea of two linked but incompatible selves, all to show the need for unity in a time where unity was nowhere to be found. And their story was as strange as is their nature. 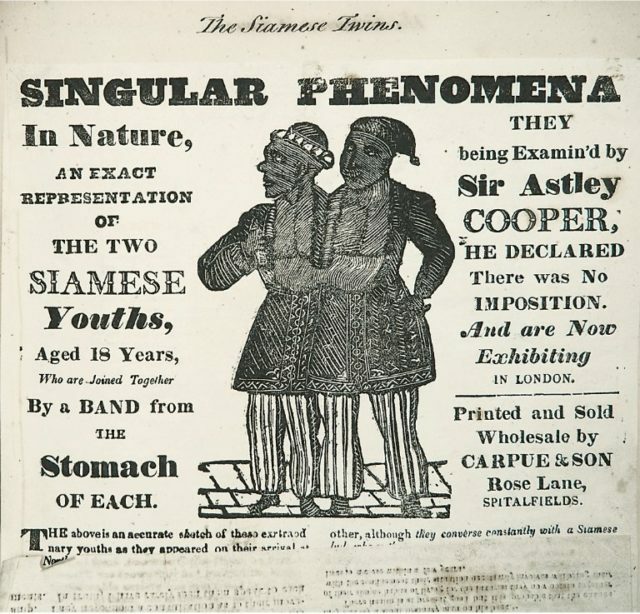 Born on may 11th, 1811 in Siam now known as Thailand, the twins tell a story of two poor conjoined brothers descending from China, who were sold as slaves to work in a circus as entertainers throughout the States and the United Kingdom. That’s just the introduction. Being an attraction wherever they went, they’ve earned enough to buy their freedom and a land of their own. The twins got married, had a bunch of children and became slave owners themselves. If only their walls could tell stories or their double king-sized bed for that matter… Fortunately, their fame did. Robert Hunter recognized the twins potential and bought them as slaves for $300, and with the help of the American sea captain, Abel Coffin shipped them to Boston, Massachusetts. 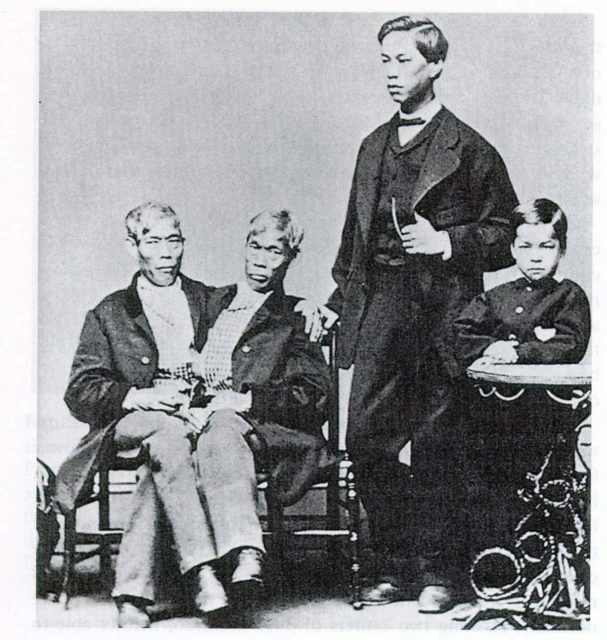 There, at the age of 17, they were exhibited as “The Siamese Double Boys” or sometimes as “The United Brothers,” and became an instant sensation. The twins defied all the previously known science to humankind. It is well documented that almost all the conjoined twins only live for a couple of years, some of them maybe for decades, though in a bad health and a bad physical state. However, these two performed for hours in front of crowded halls, filled circuses and theaters, making backflips and somersaults, playing chess other various acts. They would even carry a 20 stone man! 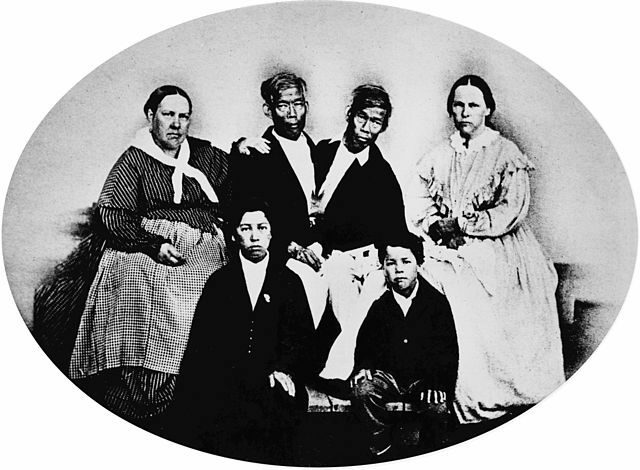 Although they were owned as slaves, the twins were well-compensated for their hard work and made a lot of money. Later, when they’ve earned enough and after many years spent working in the country, they were awarded full US citizenship and in 1839, bought an 110-acre farm in North Carolina, with the intention to live a normal life, or as much normal as they could. 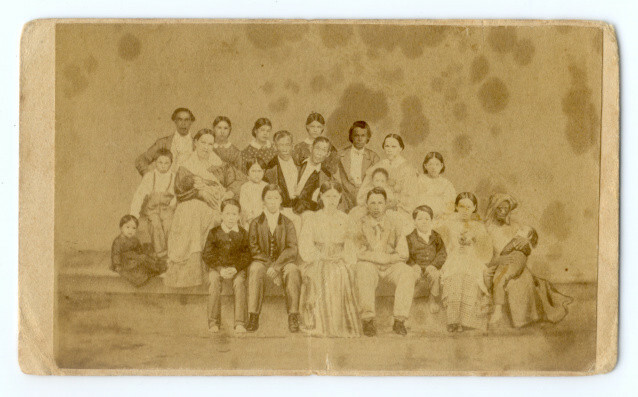 Three years later, they got married, both of them, to the sisters Adelaide Yates and Sarah Ann, and had 22 children. Eng had 12 and his brother 10. North Carolina was a slave state back then, but according to the law, they were treated white. So as every other rich white man in that state, they bought dozens of slaves to work on their plantation and be of service to the wives and kids, thus becoming slave owners themselves. Some of their many sons were fighting for the Confederate Army during the American Civil War, so the defeat of the Confederacy brought an end to their strong political aspirations and their wealth and good fortune. They were forced to go back to the circus life, but instead of natural showmen as before, they were now greeted by the audience as old and grumpy monstrous creatures. No matter their downfall and hardships, Chang and Ang somehow managed to keep their integrity, never stole and were highly respected by everyone they knew. 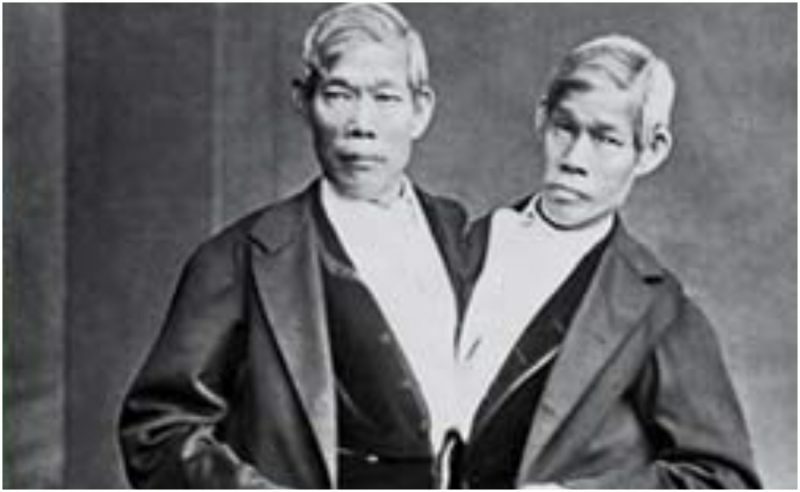 In 1874, Chang who previously started drinking and suffered a stroke, died while the both of them were sleeping. His brother, having the fate like no other man- to wake up next to his dead brother with a frightening thought that he would have to continue living attached to a dead body, died only 3 hours later. 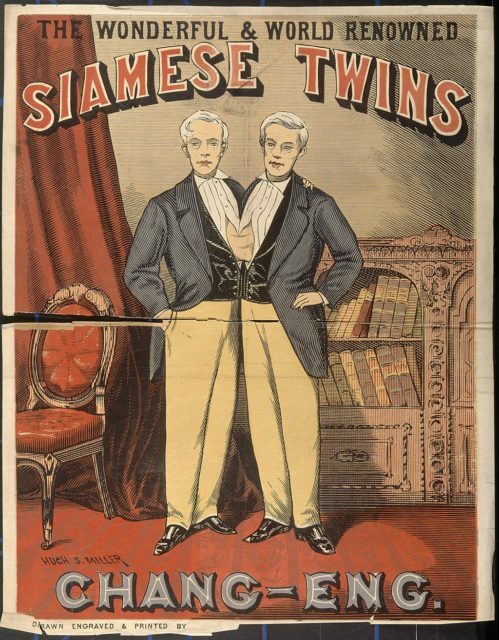 So, Mark Twain wrote a story of these twins. The twins who later provided the name for all who suffered their condition, brothers who although conjoined and ended growing into two entirely different individuals, still found a way to live with each other in unity, living their lives to the fullest.